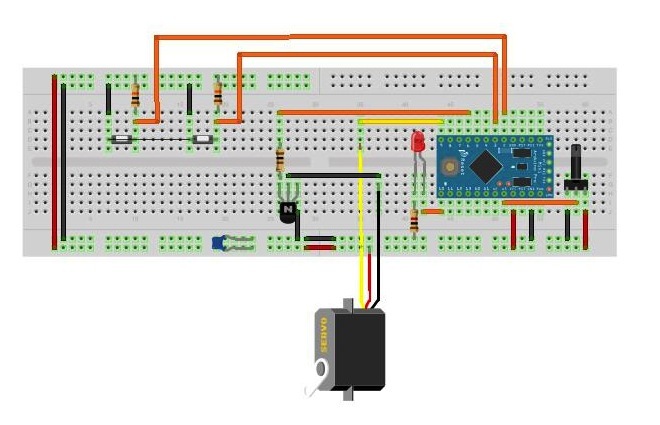 DIY E-Shift is a easy to build electronic derailleur built with open source tools. 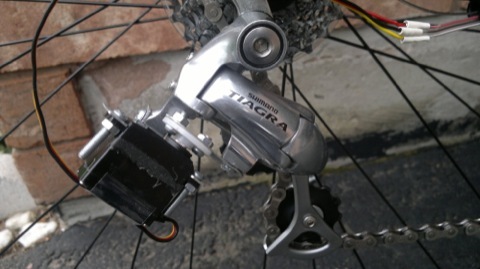 It has been tested with the RD-4500 Shimano Tiagra derailleur, but the general method should work with most Shimano parts. 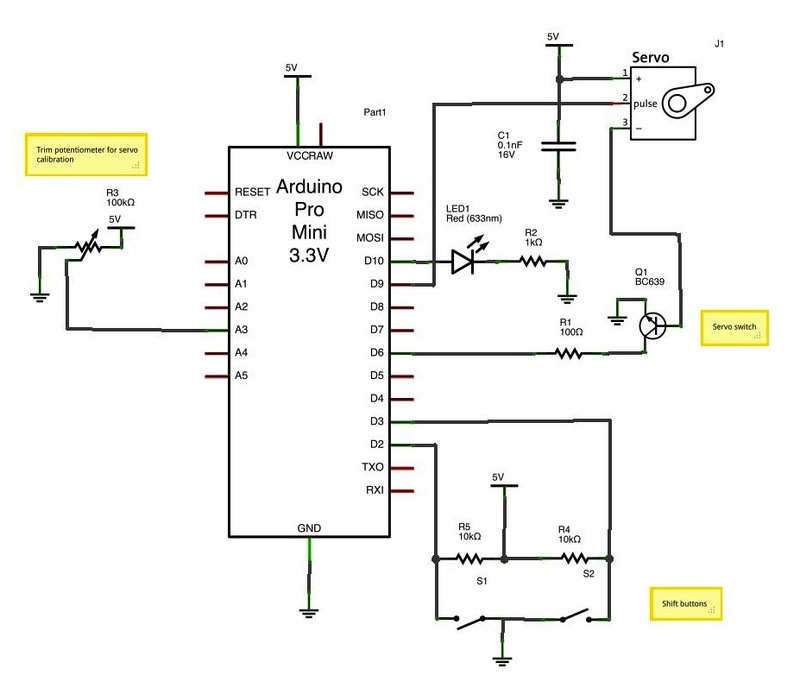 This project contains Arduino sketch, electronic schematics with Fritzing diagram, bill of materials and CAD drawings for the servo mount. Once both derailleurs are electronic you get automatic trimming, which means no more chain rub! Easier/smoother shifts. OK so it's not super hard to change gears with mechanical levers, but going electronic means you get an accurate shift every time. 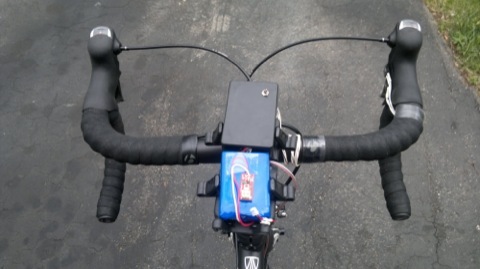 When your gear changes are combined with other metrics like your heart rate, gps, speed and incline you can improve your ride by finding your weakness. Were you on the correct gear on that incline? Adding electronics to anything is always cool! DIY E-Shift by Nabil Tewolde is licensed under the MIT license.